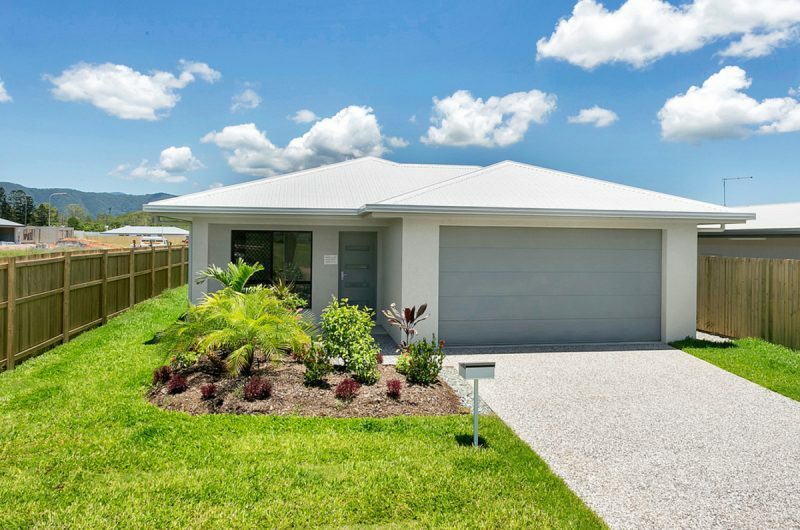 A perfect first home, or down sizer, accurately describes this neat 3 bedroom, 2 bathroom home. 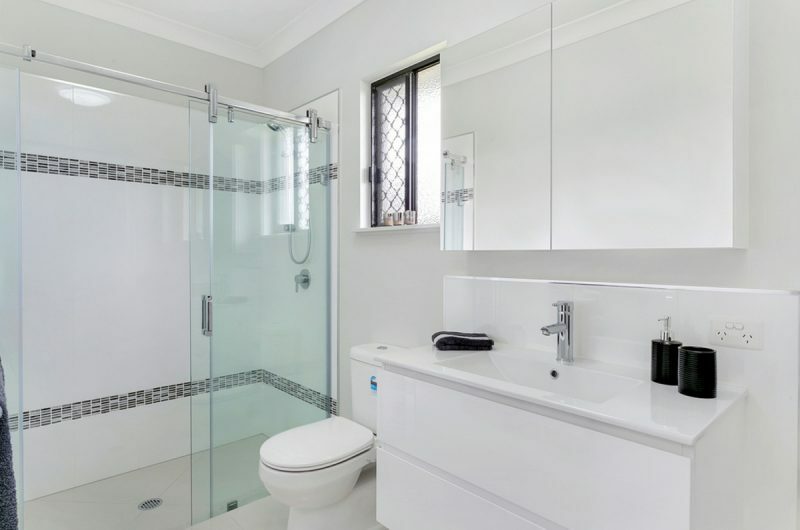 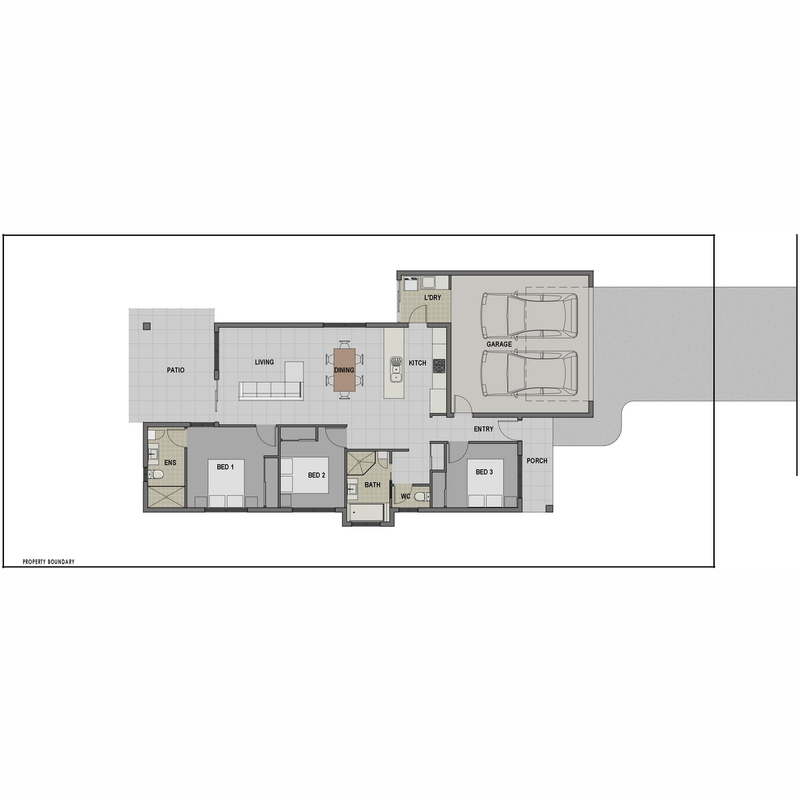 Both the ensuite and spacious family bathroom have floating vanities in gloss cabinetry and wall hung tall boy storage units, and mirrored shave cabinets. 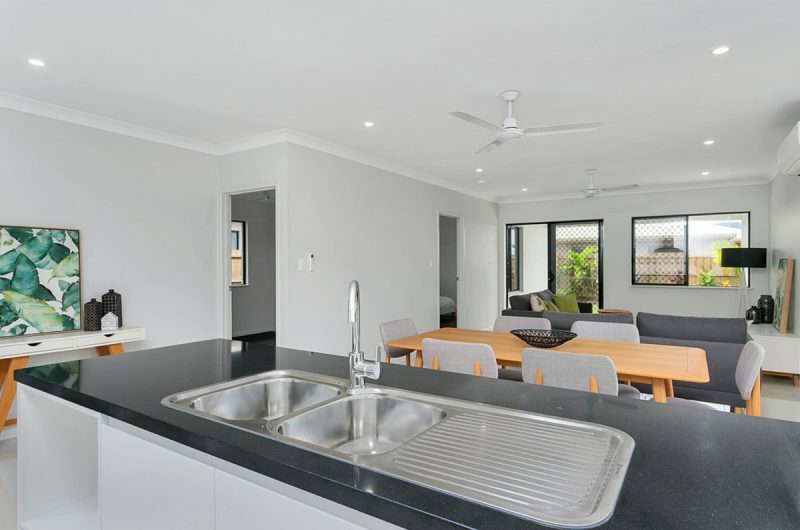 The laundry is accessed through both the garage and kitchen and has stone bench tops to match. 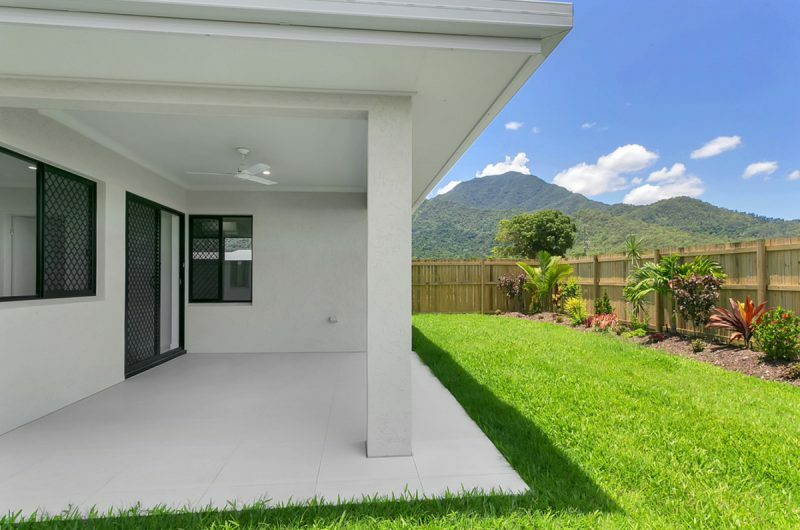 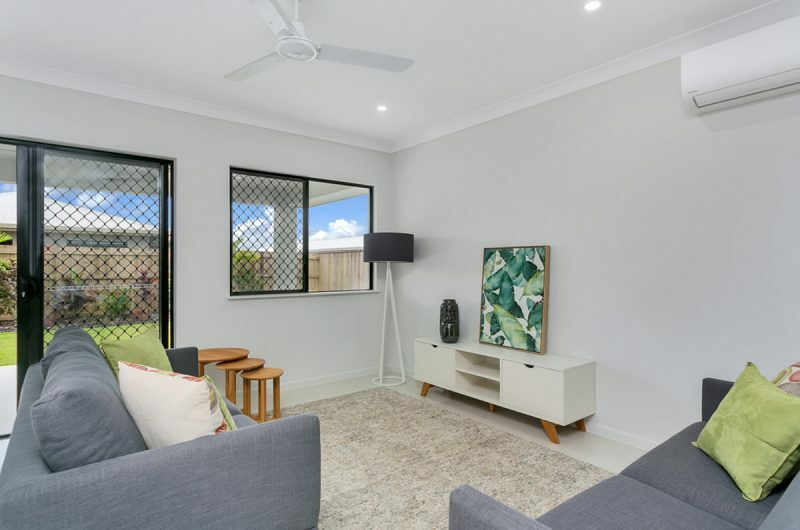 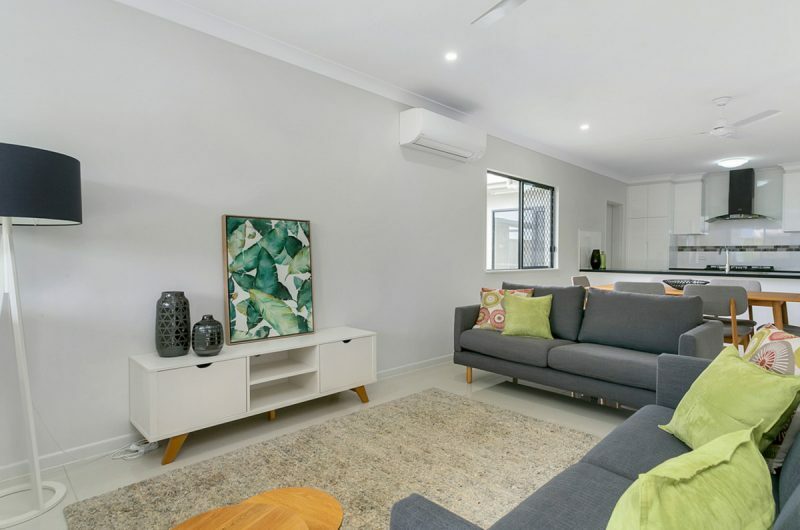 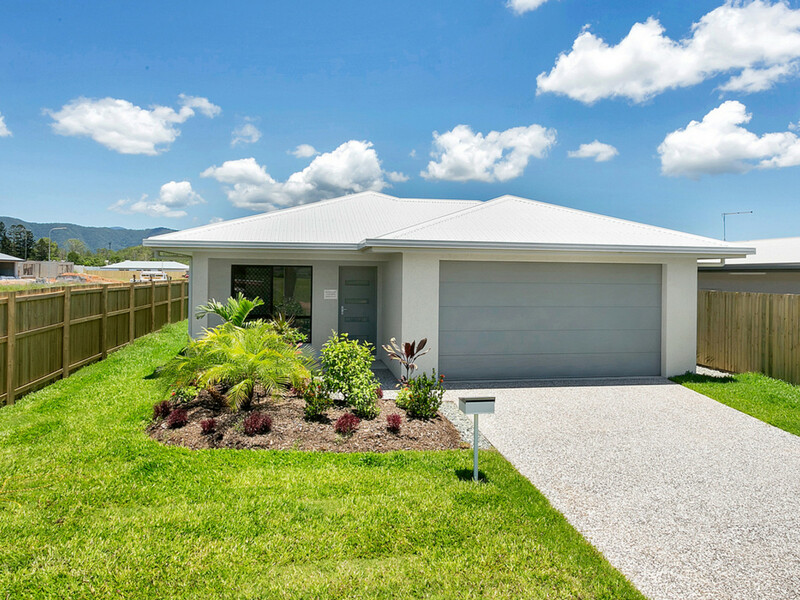 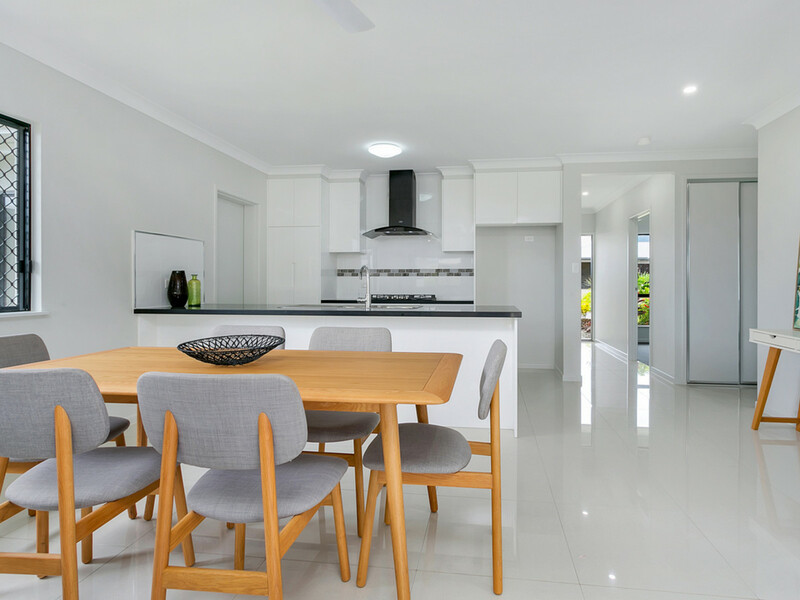 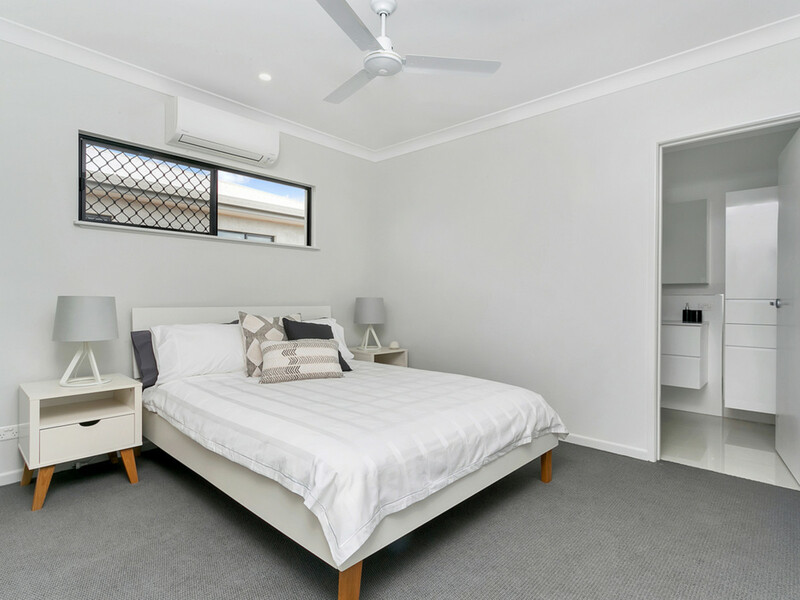 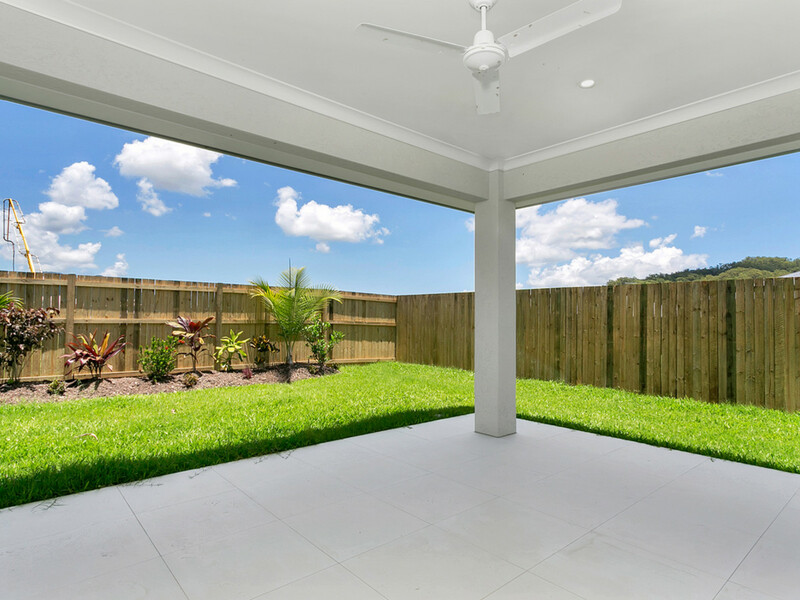 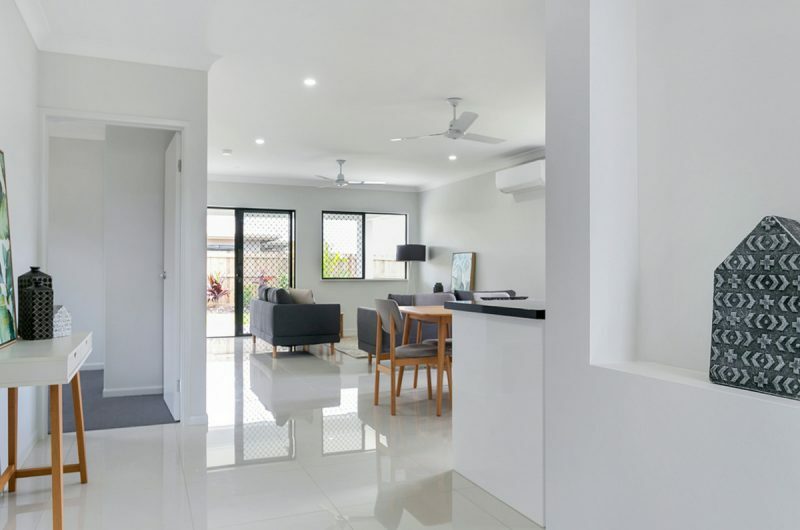 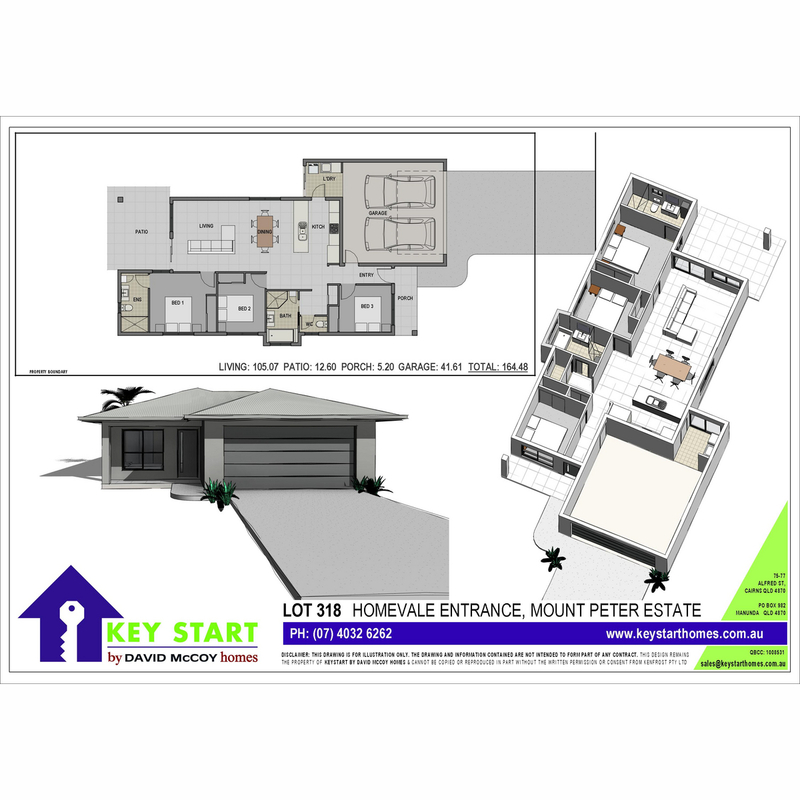 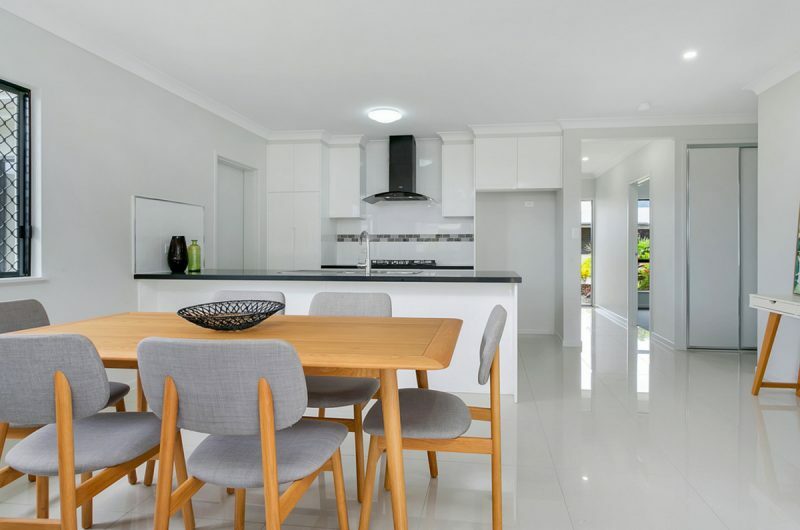 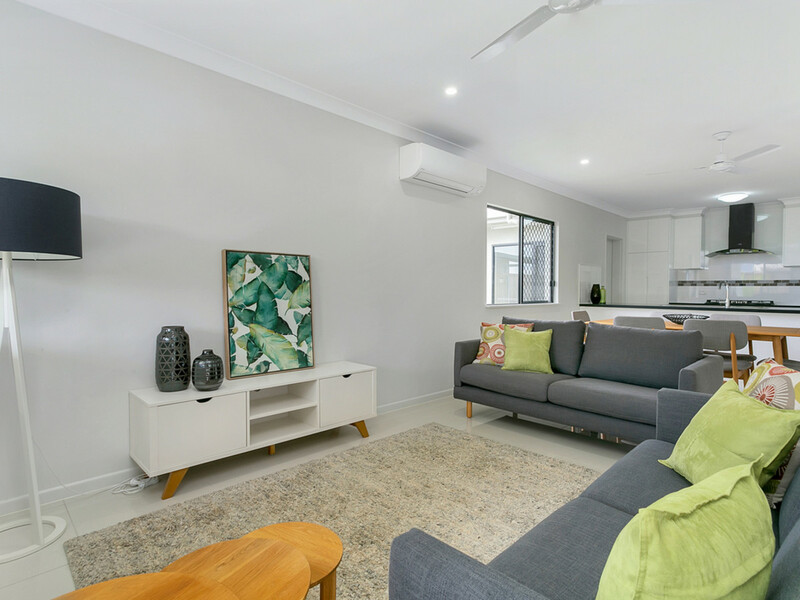 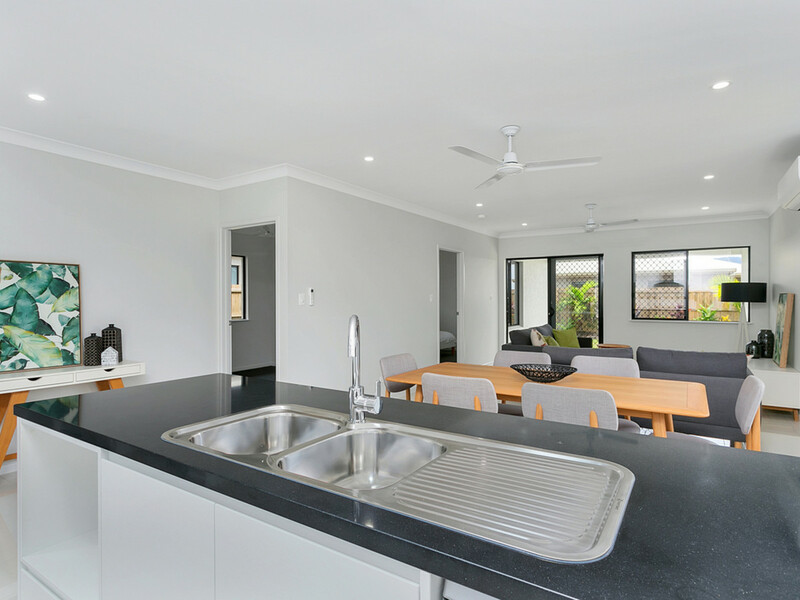 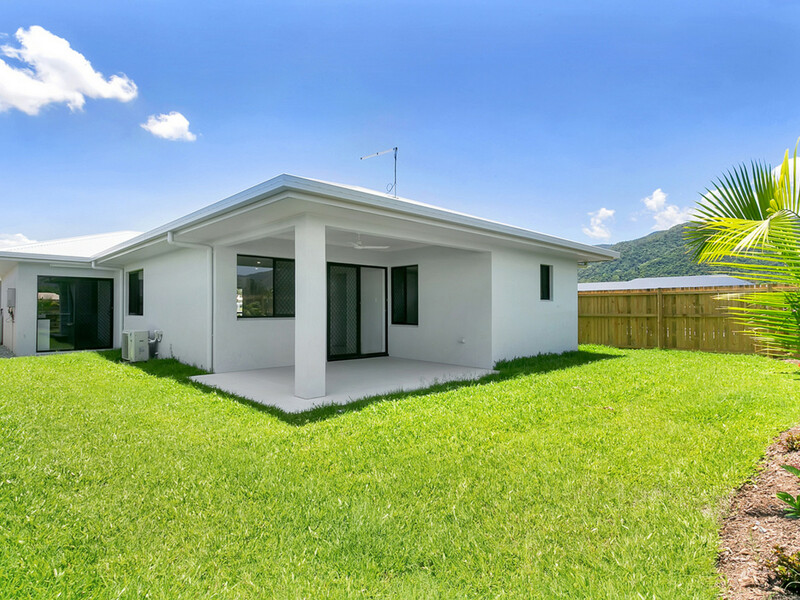 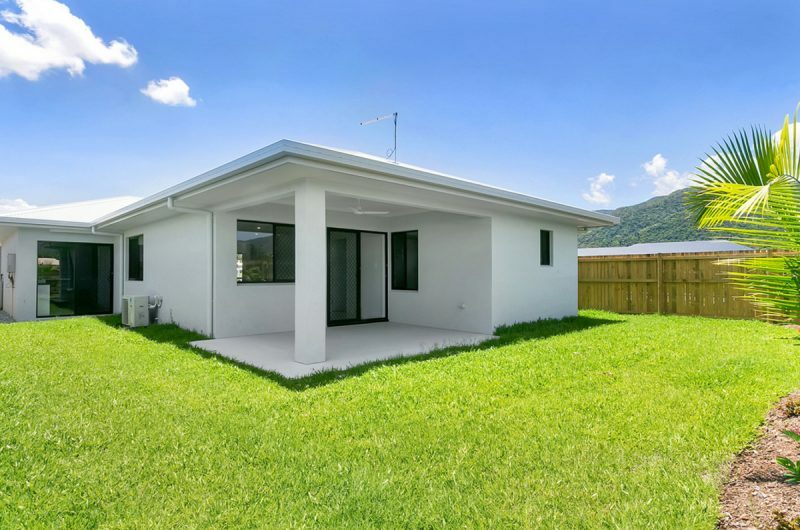 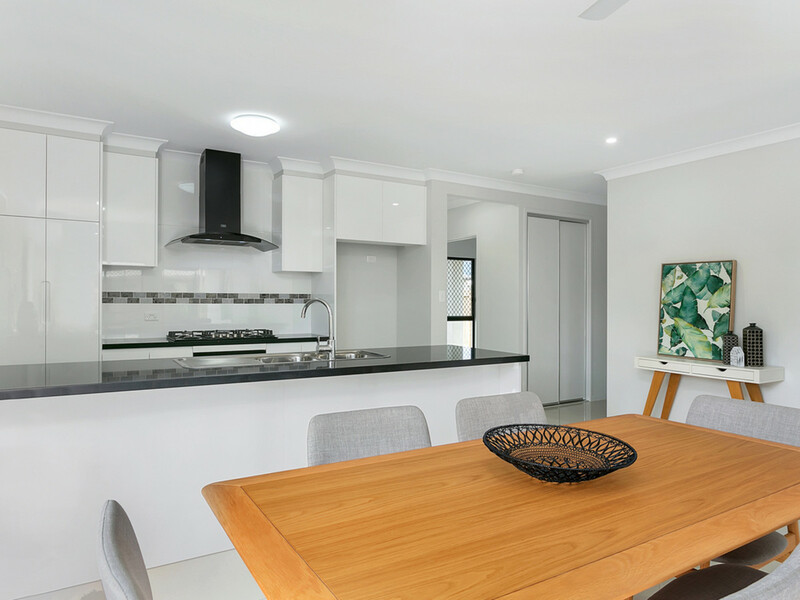 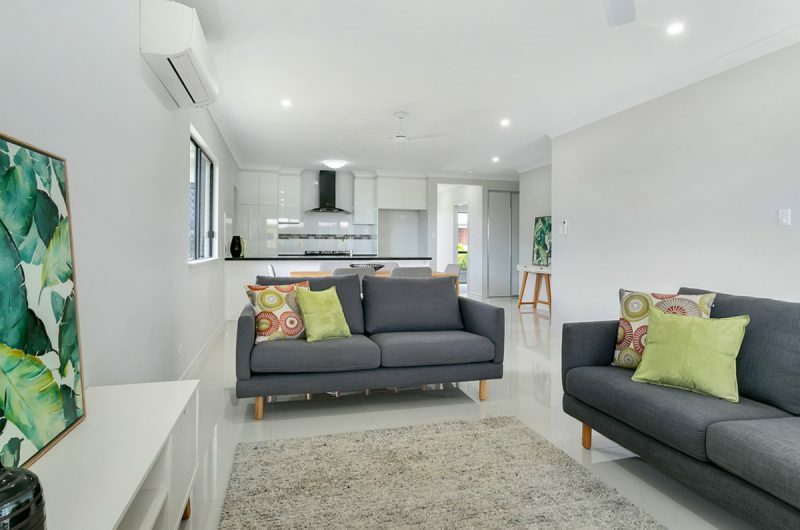 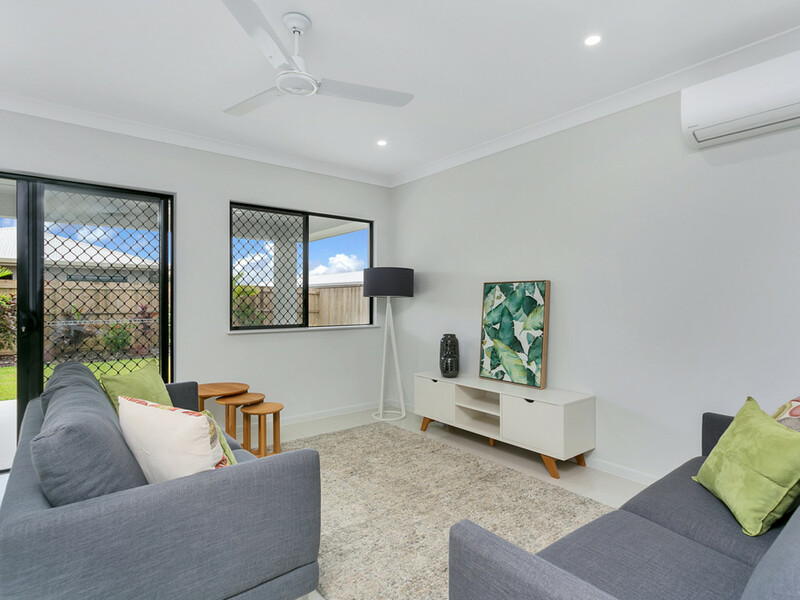 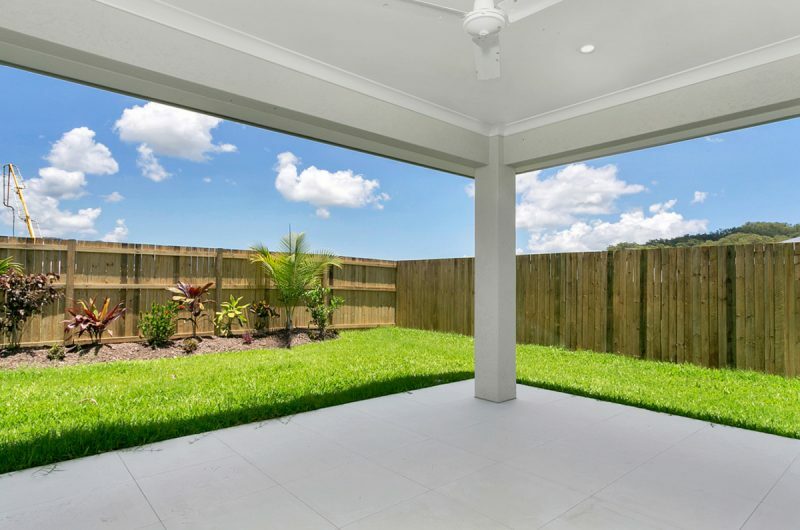 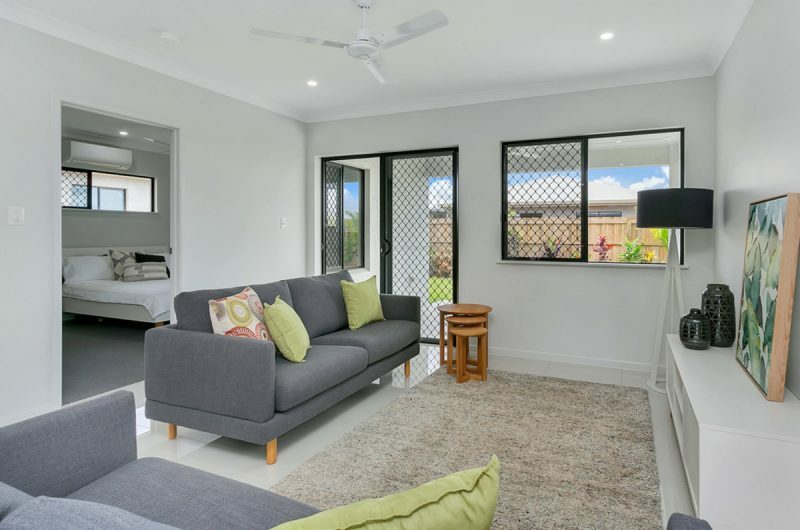 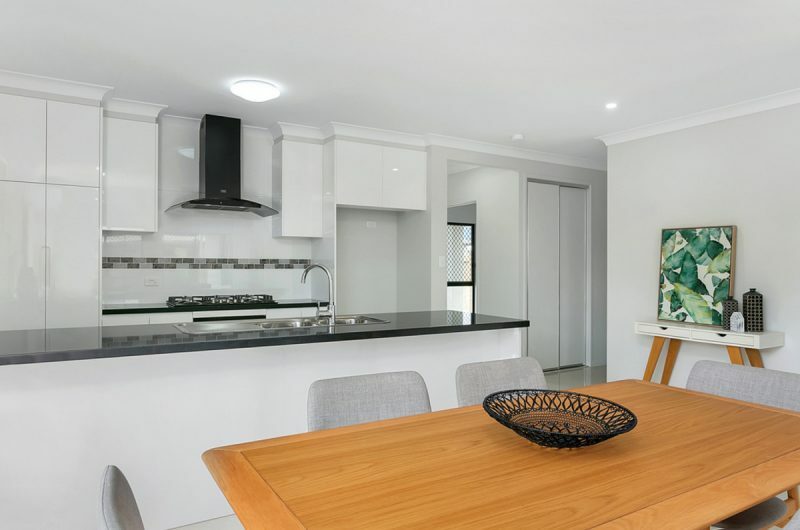 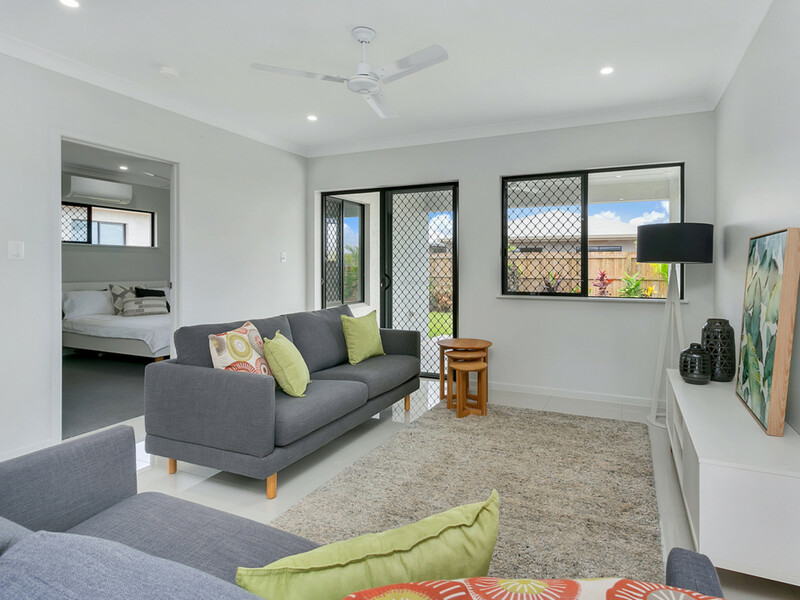 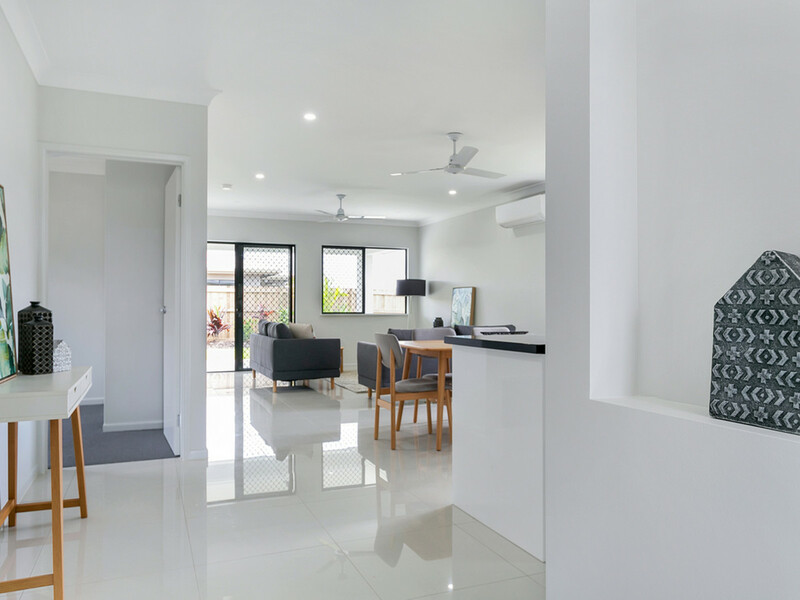 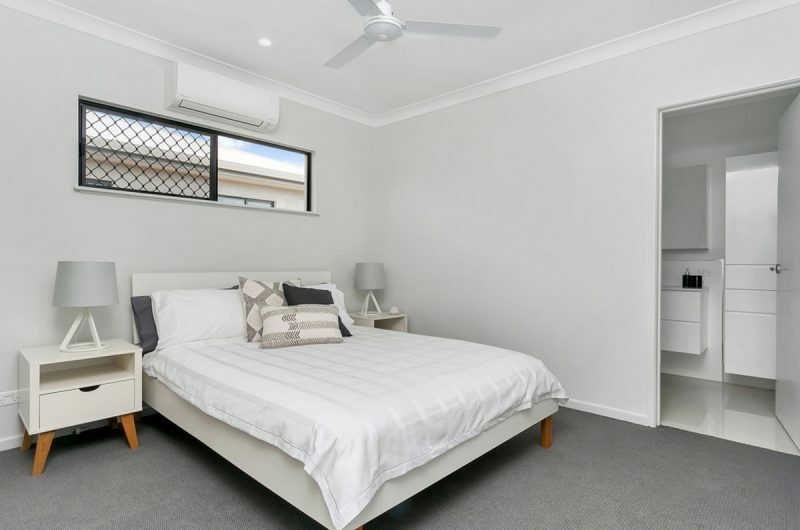 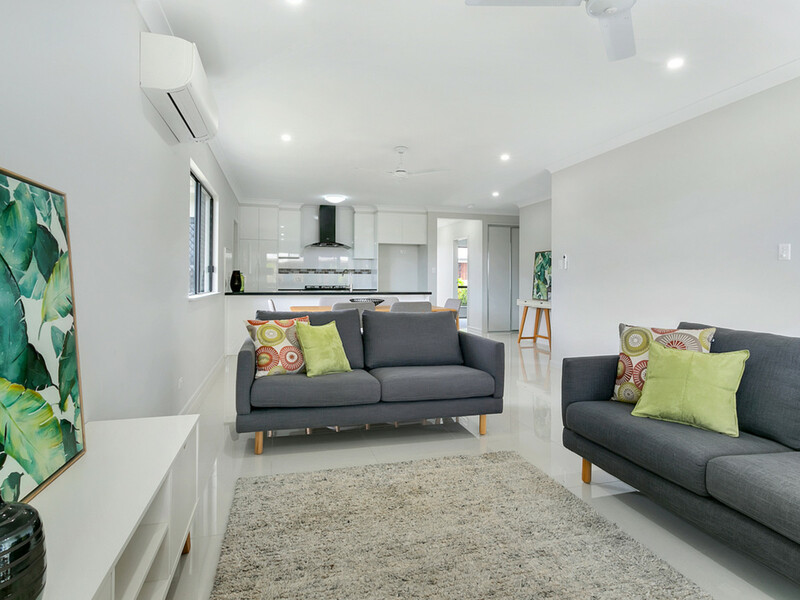 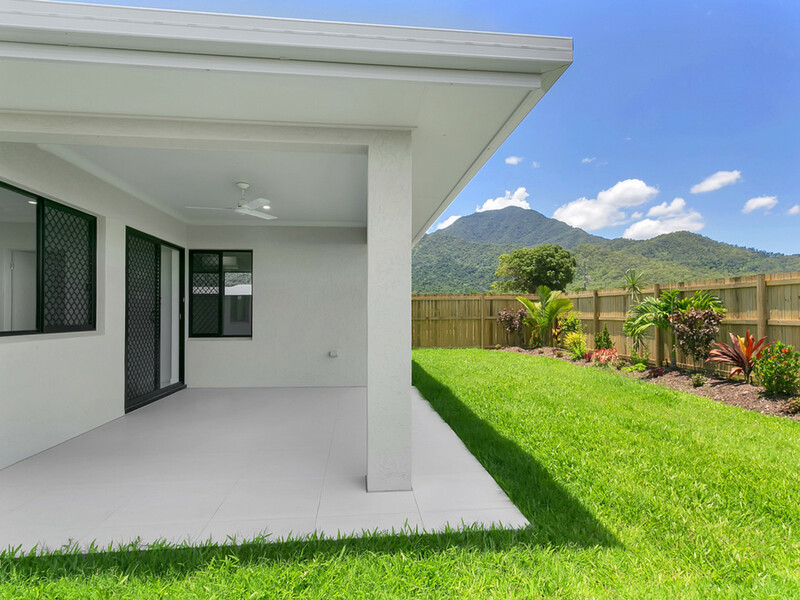 Attractive porcelain tiles, split system air cons throughout, landscaping with auto irrigation, driveway and paths, tv aerial, letterbox & clothesline, all the hard work is done for you the ideal turn-key package.